Negative emotions not only stop you in your tracks, but they keep you from moving forward because you can only see the situation from your perspective. Two monks were wandering through the forest when they came upon a beautiful courtesan standing on the banks of a flooded stream. Because they had sworn avow of chastity, the younger monk ignored the woman and crossed the stream quickly. Realizing that the beautiful woman could not safely cross the stream by herself, the older monk gathered her up in his arms and carried her across the stream. Once they had reached the other side, he gently returned her to the ground. She smiled her thanks, and the two monks continued on their way. The young monk quietly seethed as he replayed the incident again and again in his own mind. He looked over at the older monk to see if he at least was showing remorse for what he had done, but the man seemed as serene and peaceful as ever. Finally, the young monk could stand it no longer. I’m not saying that you should stop feeling these emotions or feel guilty when they do occur. What I’d prefer you do is become aware of them, find the positive intention behind the emotion and reset yourself. Here are the top five negative emotions that you can start becoming aware of if you want to be happy and content. Just about every negative emotion arises out of fear of some sort. It used to be that fear alerted you to a potentially deadly situation (like getting eaten by a saber-toothed tiger). But nowadays, unless something is a potentially deadly situation, there truly is no need to let fear stop you from doing anything! Fear is only there to protect you – that is its positive intention. For example, when you have to do some public speaking, you may feel some fear creeping up (I feel it every time), and the reason behind this fear could be that you don’t want to be embarrassed if you make a mistake and you want the audience to like you. By understanding the reason and intent behind the fear, you can take steps to eliminate this feeling. How? In this example, practice your speech before giving it. There’s a Hawaiian saying that states: “Bless your enemies and your competition”. Jealousy comes up when we compare ourselves to others – whether it’s related to work, personal success or image. One way to rid yourself of jealousy, is to practice gratitude. Instead of being jealous of someone else, practice thankfulness for what you have. This can really help to turn around this negative emotion into something very positive that can help you in many areas of your life. Do this for seven days and I guarantee you’ll notice a difference. This is the worst of the negative emotions and can be thought of as the most extreme level of some of the other negative emotions. People who hate will usually have other deep issues that would do well to be brought out into the light and dealt with. This emotion usually shows up in close relationships like family or friends, because someone’s trust was broken or someone’s values are violated. There’s no shame in getting help for something that you feel you can't control, and you will be much more emotionally healthy in the end. When you get revenge on someone, it doesn’t hurt them, it hurts you. Instead of seeking revenge, forgive the person and yourself. 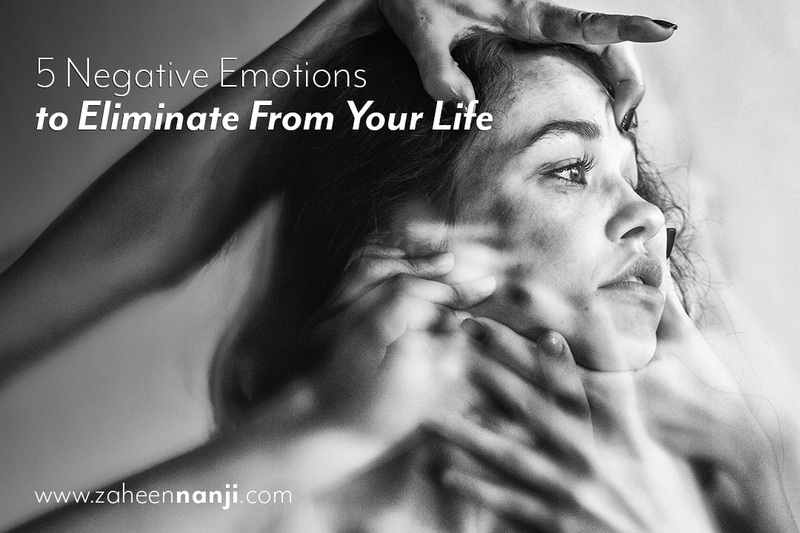 When you eliminate an emotion that is taking up a lot of emotional space and energy in your life, you open that space up to receive much more positive emotions, and those positive emotions will help you achieve your greatest successes. There are lots of resources on forgiveness and it may not make sense at first, because you’re so consumed with this negative emotion, but give yourself time. Greed is at the forefront of the downfall of many a nation and relationships, and it can be your downfall if you let it control you. You cannot take your wealth or jewelry or expensive art pieces with you when you die. Living a fulfilled life comes from knowing that you spent time with your loved ones and that you made a difference where humanity was concerned. 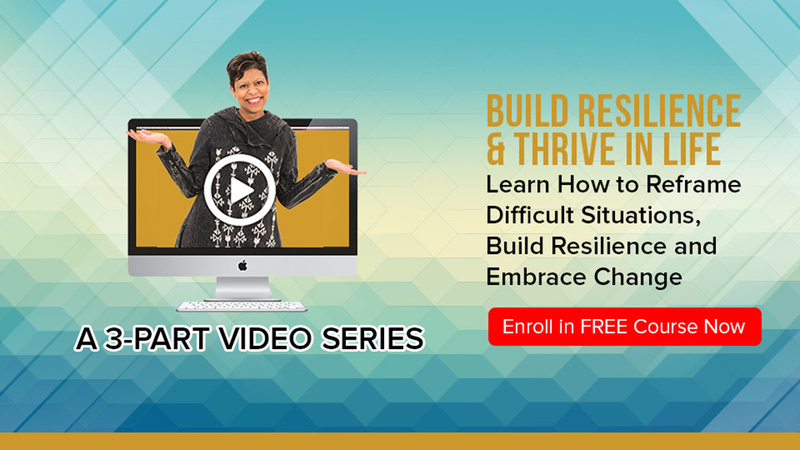 Which negative emotion will you start working on first?